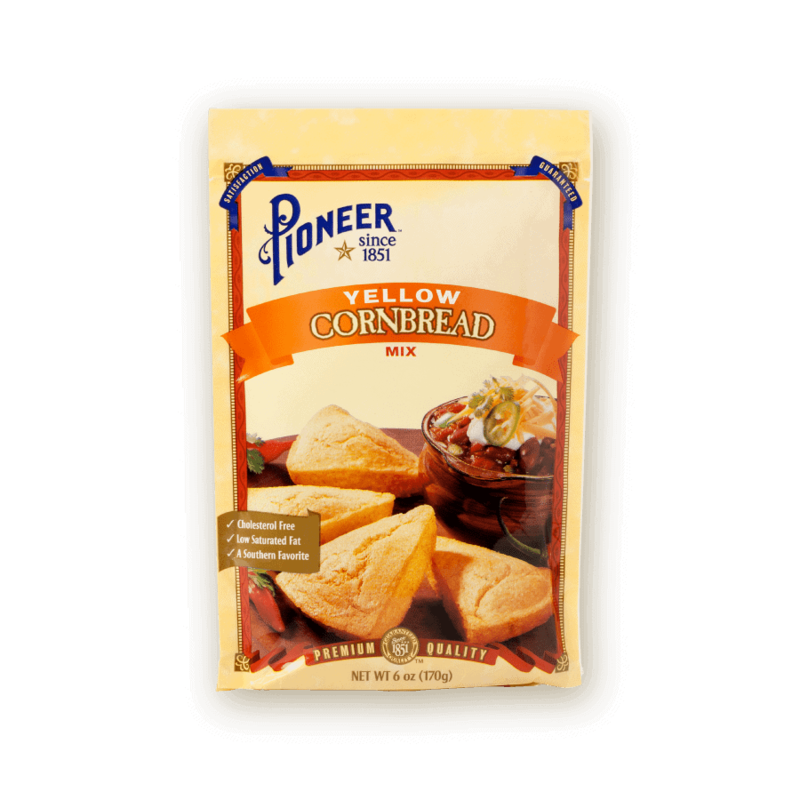 Make with Pioneer Yellow Cornbread Mix for moist cornbread that is easy to make. Preheat oven to 400°F. Coat a round 8-inch pan, 6 muffin cups, or 9 cornstick molds with oil. In medium bowl, combine Pioneer Yellow Cornbread Mix, egg and milk, stirring just until cornmeal is moistened. Pour batter into prepared pan, filling so that each pan is no more than 2/3 full. Bake for 20 to 25 minutes or until the top is golden brown.